Kahlua is launching Espresso Martini on Tap in Australia, a first of its kind globally for the brand. The world’s number one coffee liqueur has made it easier than ever to serve the popular cocktail, blending Absolut vodka, Kahlua coffee liqueur, and Australia’s The Kind Coffee Co organic cold brew coffee to craft its espresso martini. The taps themselves use 20-litre, single-use, nitro-charged recyclable kegs, with a six-month ambient shelf life without any added chemicals or flavour agents. Conveniently, they work with any current beer tap system, or a new unit can be installed. One keg serves 160 espresso martinis, each taking 10 seconds to pour. This saves – according to Pernod-Ricard – a total of 7.5 service hours when compared to its regular, hand-shaken counterpart. 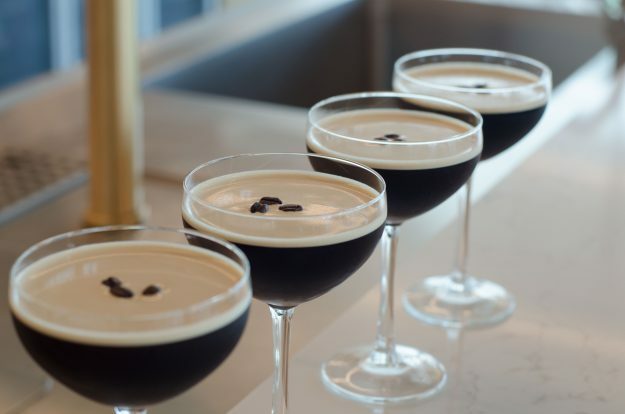 Eric Thomson, Pernod Ricard Australia Marketing Director, says Kahlua Espresso Martini on Tap had been created in response to both consumer and trade demand. “Espresso Martinis are contagious,” Thomson says. “It only takes one person to order an Espresso Martini and suddenly everyone wants one resulting in long queues to order a drink and a backup behind the bar. Peter Tate, General Manager of The Royal Hotels Group (NSW), was the first to install the system. “Each drink pours perfectly, and the tap saves our bar teams a huge amount of time, particularly during those busy Friday and Saturday nights,” he says.